When not winning awards, snowboarding in the Olympics, or feeding strays, Josh serves as senior (which means accomplished, not old) speechwriter to the Chief Academic Officer (also known as the Provost) at the University of Pennsylvania. 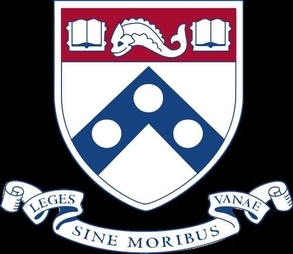 Numerous high-profile figures have visited Penn's campus, and Josh has written introductory remarks/speeches for most of them: Vice President Joe Biden, Denzel Washington, Senators John Huntsman and Cory Booker, Google CEO Eric Schmidt, John Legend, Samantha Power, and, in 2016, Lin-Manuel Miranda, for which he received the coveted Cicero Award. Other figures include New York Times columnists Nick Kristof and David Brooks, NPR puzzle master Will Shortz, actress and playwright Anna Deavere Smith, journalist Andrea Mitchell, and many, many others. He also focuses on academic and institutional issues, among them diversity and inclusion, student life, faculty affairs, open learning, and academic policy.